ABS-CBN's long-running drama anthology topped the weekend ratings chart. This is according to data based on the overnight ratings of Kantar Media/TNS among Total Philippines (Urban & Rural) on August 15 to 17, 2014. Maalaala Mo Kaya: Ang Tahanan Mo rated 38.4% on August 16. The high score was enough to place the episode among the most-watched shows for 2014. The particular episode was titled “Red Envelope” and featured the life story of Lyca Garainod, the winner of the Kapamilya Network’s reality singing competition The Voice Kids. In contrast, GMA-7's Magpakailanman registered a rating of 12.8%. 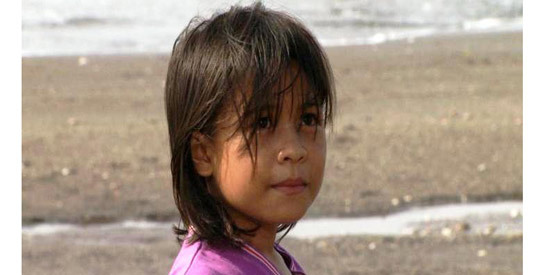 The episode featured the life of Brina Maxino, a young girl with Down's syndrome. As the Global Youth Ambassador representing the Asia-Pacific, she had the chance to meet President Barack Obama. It is interesting to note that Wansapanataym: Rod Santiago's Nato de Coco was able to beat Marian Rivera’s musical dance show last August 16. Wansapanataym was able to register 31.4% whileMarian got 15.7%. Meanwhile, the August 17 episode of Wansapanataym emerged as the No. 1 most-watched episode on that day with its rating of 25.6%. This ABS-CBN fantasy-drama anthology featured Vhong Navarro, Carmina Villarroel, and Epy Quizon, among others. Here are the comparative Household Ratings of ABS-CBN, TV5, and GMA-7 programs from August 15 to 17, 2014 based on the overnight ratings of Kantar Media/TNS among Total Philippines (Urban & Rural) households.